Most of us, I’m sure, can remember that AHA moment in school when we realized that science is pretty cool. Imagine how it might be for a student enrolled in a school lacking the resources to teach science well, or who was never given the opportunity to excel in anything, let alone science. What if the opportunity for an AHA moment never arrived? This is, unfortunately, the truth for many primary and secondary school students, and it is especially so for low-income and predominantly minority communities. Students from disadvantaged backgrounds often carry stereotypes that scientists are old, white men who are out of touch with society, and many youth believe that science careers are out of their reach. The challenge then, is how to excite children about science such that they want to make a career of it? BioEYES reaches out to children like Dasha who have internalized the message that they are among “the worst” and appoints them to an esteemed role, that of research scientist. By stepping into this role, students feel important and get excited about science, and for the first time they are encouraged to see this career is open to them. 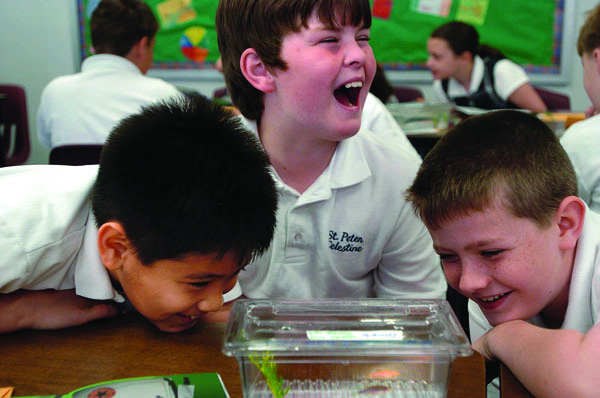 BioEYES plants seeds of enthusiasm for science and learning that helps inspire kids to stay in school and, for some, to pursue careers in science, engineering, math and technology fields. One reason for the success of the BioEYES program lies in its fun, hands-on activities using live zebrafish. 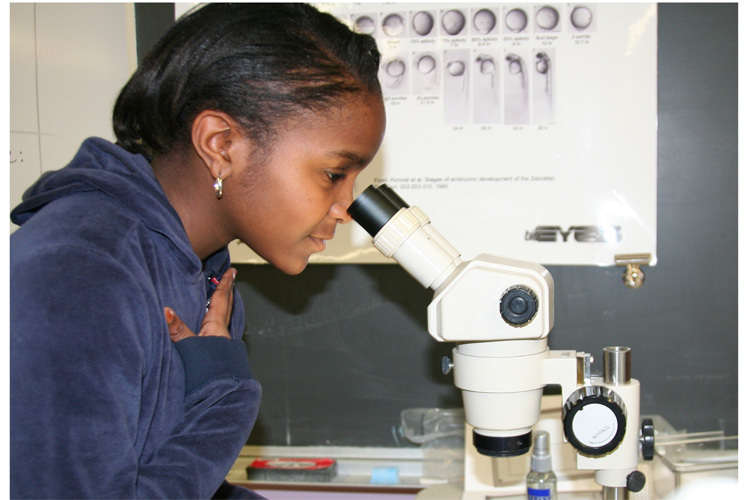 Over the course of the week that the BioEYES Outreach Educators are in the classroom, students learn to use the scientific method, cross the fish, observe embryo and larval development daily under a microscope, and record their findings. They learn about and are encouraged to consider scientific careers. 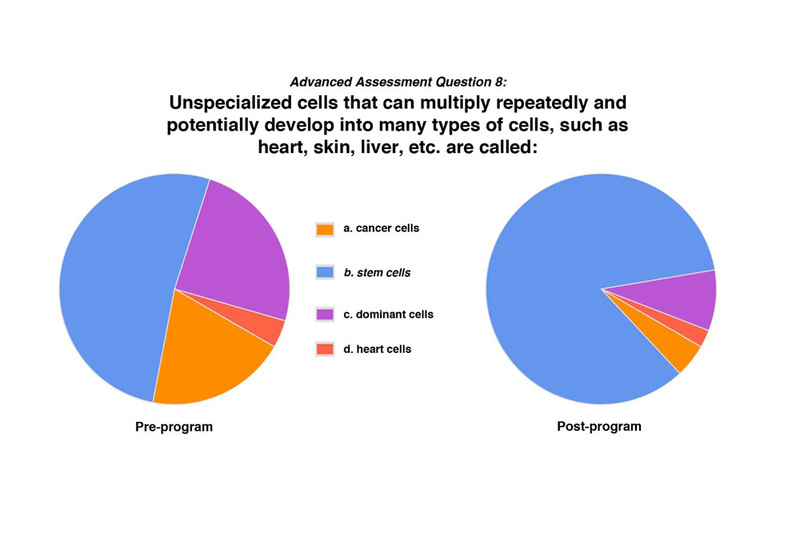 Depending on the grade level taught, concepts in ecology, vertebrate development, stem cells and genetics may be explored. 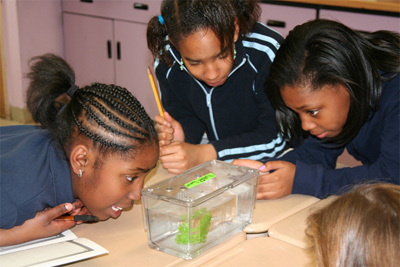 On the last day of the program, students in all grade levels observe the beating heart of a zebrafish larva. For most, this is their first glimpse of an actual heart pumping in real time, and inspires a strong visceral reaction unlikely to be duplicated by a video or picture. 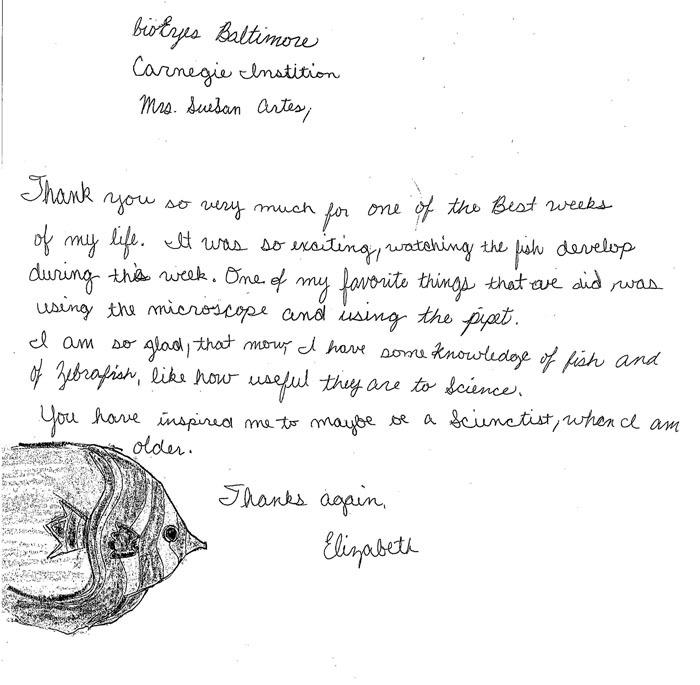 Many students express delight and amazement, and truly see the fish as like themselves. Modeled on the successful BioEYES program established in Philadelphia in 2002 by Dr. Steven Farber and Dr. Jamie Shuda, BioEYES has educated more than 35,000 students nationwide. At present, one school district in the United States has their own fulltime, dedicated BioEYES Educator, and a second school district expects to develop a BioEYES Teacher Leader position for the 2010-2011 school year. In August 2010 BioEYES went international when we implemented our program in Melbourne, Australia. Part of the appeal of BioEYES is the support it offers to teachers, many of whom (especially at the primary school level) have minimal training in science education. Prior to the BioEYES unit, teachers attend a training workshop that introduces them to the program and curriculum. For their first two years of participation, teachers co-teach the unit alongside a BioEYES Outreach Educator. In the third and subsequent years, teachers may be designated “Master Teachers” and they can teach the unit independently with materials provided by BioEYES. Master Teachers deliver the program at significantly reduced cost to BioEYES and they free Outreach Educators to work in classes that have not yet participated. BioEYES is a nonprofit tax-exempt organization and currently operates out of the Carnegie Institution for Science in Baltimore, MD; the University of Pennsylvania in Philadelphia, PA; Notre Dame University in South Bend, IN; and Monash University in Melbourne, Australia. We have been able to deliver our programs to tens of thousands of children at no cost to their schools because of the generosity of individuals, foundations and corporations. Not surprisingly we have a close partnership with the Society for Developmental Biology not only because we are using a developing model organism, we both share the goal of fostering a more scientifically literate society. We of course welcome your support! For more information please visit our website, www.bioeyes.org. Steve and Valerie, thank you for telling us on the Node about this important and inspiring educational project, which I really enjoyed reading about. I hope your experience will stimulate other community minded scientists to build contacts with their local school communities, to share their expertise with school teachers and school children alike. What I particularly like about the BioEYEs project is that it provides a blueprint that others can build on or adapt to get working within their own school communities and also a source of information and expertise to turn to for advice. Can I ask what ages of children the BioEYEs project is aimed at and what the youngest ages are that you teach? I’m glad you enjoyed reading about BioEYES. It’s true that with a zebrafish facility and an educator, this educational model can be easily replicated. We hope some of you are inspired to pursue this idea. If you do, we are happy to help you get started. To answer your question, our BioEYES educators have taught pre-K through 12th grade. We have curriculum available for 2nd, 5th, 7th, and 10th grades. Over the summer our Baltimore team taught pre-K through 3rd grade at the Hearing and Speech Agency’s Gateway School, where we modified our curriculum to adapt to the needs of students with communication and other disabilities, including autism. It was a successful and very rewarding experience!